North Salem is a town in the northeast part of Westchester County, New York. It is a suburb of New York City located approximately 50 miles north of Manhattan. North Salem is comprised of the hamlets of Purdys, North Salem, Croton Falls and Salem Center. 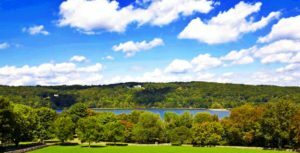 The county ranks second for wealthiest counties in New York State and the seventh wealthiest county nationally. The population of North Salem was 5,104 at the 2010 census. Residents can take trains from nearby stations at Goldens Bridge, Purdy’s or Croton Falls to Grand Central. Train rides range from 65 to 80 minutes during peak hours. For more information on North Salem please Click Here.